Ants are the No. 1 nuisance pest in homes across the United States. They’re difficult to control and can be costly for pest management firms when callbacks become common. On the plus side, the products currently available to pest management professionals (PMPs) — including dusts, sprays, aerosols and baits — are extremely effective. That’s especially true when they’re coupled with integrated pest management (IPM) practices such as sanitation. 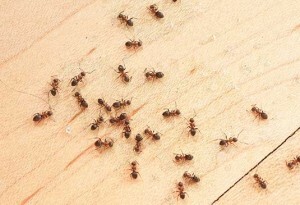 Residential clients with persistent ant infestations should consider deep cleaning in the locations where ants are being encountered — most commonly, the kitchen area. This process involves more than just wiping food residues from countertops. It’s a labor-intensive process that often requires moving appliances and emptying cabinets and pantries. Food and grease residue that has accumulated behind and beneath stoves, trash compactors, dishwashers and refrigerators should be scrubbed, scraped or wiped away. Dust, crumbs, pet food and cobwebs can be vacuumed from beneath and behind appliances, and inside cabinets and closets. PMPs should provide detailed recommendations for deep cleaning to remove food sources, or may even choose to provide the service for an additional fee. Either way, accessing these hidden areas in a kitchen can often provide IPM insights into new opportunities for exclusion, too. Cracks and crevices, previously hidden from view, are often exposed during deep cleaning efforts. They can be treated and sealed, eliminating entry points and reducing harborage locations. When it comes to preventing and eliminating tough pests like ants, the areas that are out of sight can sometimes be the key to solving tough callback situations. You can reach Dr. Jim Fredericks, VP of technical and regulatory affairs for the National Pest Management Association, at jfredericks@pestworld.org.